The best way to clean leather purses, jackets and shoes is with regular cleaning products you probably have in your home. Mix the mild dish soap into distilled water at a rate of 1 part dish soap to 8 parts water. In other words, ¼ cup dish soap in 2 cups water. Distilled water is best for a good leather cleaner, especially if you have hard tap water that tends to contain lots of salt and minerals. Spray the soapy water onto a microfiber cloth. Do not spray it directly on your purse, jacket, or shoes. Wipe the purse, jacket, or shoes with the soapy microfiber cloth. Wipe with the grain. Let the purse, jacket, or shoes dry out of direct sunlight. Put a pea-sized amount of leather moisturizer on the palm of your hand or on a soft, clean cloth. Apply it to the purse, jacket, or shoes after they dry. Leather cleaning should be done every two to four weeks. Never leave leather goods in direct sunlight. It will cause the leather to fade, splotch and streak. The best leather cleaner can’t restore your purse or jacket after that. Removing stains from leather is simple. Mix 1 tbsp of cream of tartar with 1 tbsp lemon juice. Apply a small amount of the paste to the stain. Let it set for 10 minutes. Take another small amount, wipe it on the stain and rub it in a bit. You can use your fingers or a clean, soft cloth to apply the paste. Wipe it off with a damp sponge or, for a moisturizing cleans, use a damp sponge with a little moisturizing face soap on it. This works really well for cleaning white leather. 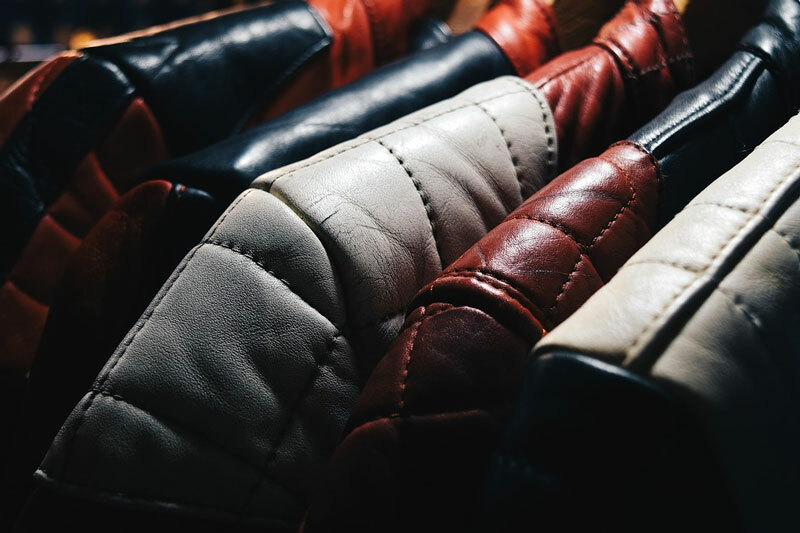 Removing stains from leather that are caused by road salt, which happens a lot in the winter, can be done with white vinegar. Mix equal parts of white vinegar and distilled water in a cup or bowl. Dip a soft cloth into the vinegar/water. Wipe the salt stains off the shoes or boots. Repeat, if necessary, on stubborn stains. 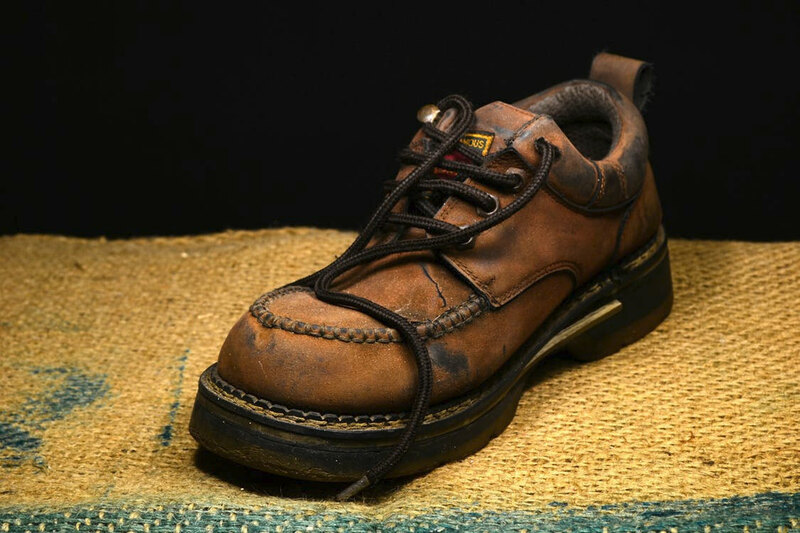 Buff the shoes or boots after they dry and coat them with a paste-type shoe polish to help prevent future stains. The best way to clean leather furniture is with a leather furniture cleaner you can make in your kitchen. Vacuum first to remove large particles. Mix together ½ cup olive oil with ¼ cup white vinegar. Pour the solution into a spray bottle with the nozzle set to a fine mist and spray the leather couch cleaner mixture onto the leather furniture. Use a soft, clean cloth or microfiber cloth to buff it up to a lustrous shine. This is good for cleaning white leather, too. Another leather furniture cleaner that you can use to clean a leather couch or chair is a bar of moisturizing body soap. Simply wipe the bar of soap on a soft cloth or microfiber cloth and rub the leather couch down with it. Don’t rinse it. Just buff it up with a clean microfiber cloth. Cleaning white leather furniture can also be done with a few drops of Castile or mild dish soap and a few drops of white vinegar mixed in warm water. Dampen a soft clean cloth or microfiber cloth with the solution and wipe the white leather with it. The cloth should be just damp, not saturated. If it gets too wet, the white leather could stain. Wipe the soapy water off with a clean, damp cloth then dry the white leather with a dry, clean cloth.